Yesterday, we told you about a report published by Japan's Nikkei, which cited the Apple iPhone supply chain in passing along speculation about iPhone X production this quarter. According to the report, during the three months from January through March, Apple will halve the number of iPhone X models it originally planned on producing to 20 million units. That 50% decline is steep, but seems to mesh with other reports indicating that Apple's premium 10-year anniversary edition is not selling well. But there is one member of the supply chain who says that the production cut is not as massive as reported. 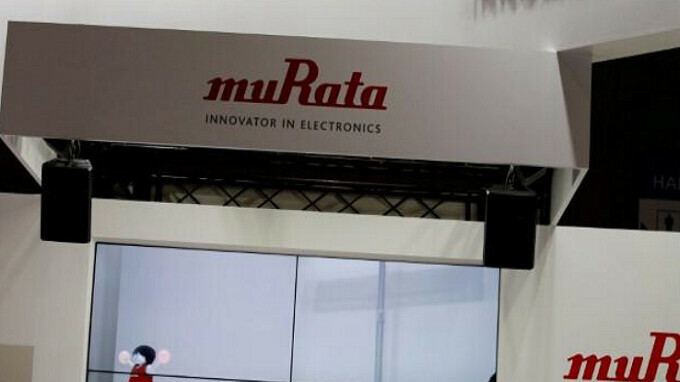 Murata Manufacturing Co., which supplies parts for smartphones made by both Apple and Samsung, says that it hasn't seen its orders from Apple drop to the extent that it would expect to see with a 50% decline in production. Yoshitaka Fujita, vice chairman of Murata, says "Our understanding is that it (the production cut) is not that great." On Thursday, Apple will report earnings for its fiscal first quarter. Along with that information, the company will announce how many iPhone units it sold during the three month period from October through the end of December. Most Wall Street analysts are revising downward their forecasts of iPhone sales for this year. For example, Bernstein analyst Toni Sacconaghi predicts that Apple will sell 220 million iPhone units in 2018, a small 1.5% rise from the 216.7 million sold in 2017. It also is a 4.8% decline from the record 231.2 million handsets sold by Apple in 2015. Well i said that Nikkei stuff is nonsense, only very dumb (few Android users here) people would believe they actually cut 50% of their orders. Midan you were all like Apple is going to break all sales records. So Apple still isn't back to their 2015 record sales year. Sure the prices were raised since 2015, but at the end of the day you were preaching to everyone that Apple sales are going to be ground breaking and there highest ever. Looks like on Thursday you will have to eat some crow. Hope you like your crow Apple preacher. What are you talking about? Apple very likely will break their sales record. Sales are very likely going to be over 80 million. (Q1 51 million) + (Q2 41 million) + (Q3 45 million) + your 80 million = 217 million So if it's 83 million that will be 220 million iPhones sold. Btw all the quarter sales are posted for everyone to see. Still you are in deflect mode as always, especially when someone puts you in your place with the truth. Sorry to bother you with facts Apple zealot, sorry I meant preacher. It's quite worrisome how desperate you are for it not to be true, seriously dude if this is what your life revolves around you need to seek professional help fast. There would be more truth if you had said that only very dumb iPhone fans would still believe this is going to be the super-cycle they were boasting about over the last 12 months, you included. Of course, it will be a good quarter for Apple that is and was never in question. The fact is the X is selling far less than was expected, not surprising as Apple only released a catch-up model, that was still really a beta-product, that did not even catch-up. Worse, charging over us 1000 for it yet it. Even with Apples marketing pull and loyal fans sales of the X are faltering already from an under-performing first few months. iPhone8/8+ is identical with iphone7/8+ (aside from glassback), it's normal if you missed it.. And for iPhoneX, I think people around you already returned it. I've seen 3 myself. The caveat to that is, I work in one of the most affluent big cities in the US and with one of the largest tech & social companies in the world. There's iPhones, iMac's, MacBook Pros, actually even Air Pods and Apple Watches galore... But, still, only seen 3 iPX's here. I have 3 Iphone X, one Lg V20, and a Samsung 7edge phone in my house. I see the major differences and I can say I would never want an Iphone, but my wife would say the same about an android phone. I've seen as many Note 8 as I have seen Iphone X. There out there but cost has gone up so much that I see more people hanging on to their old phone waiting for the cost to go way down. If this phone was around $700 dollars they could have sold almost double the units sold. Looks like $1000 was too much for the general public to spend.